One and only garlic delivery – bad crop this year. 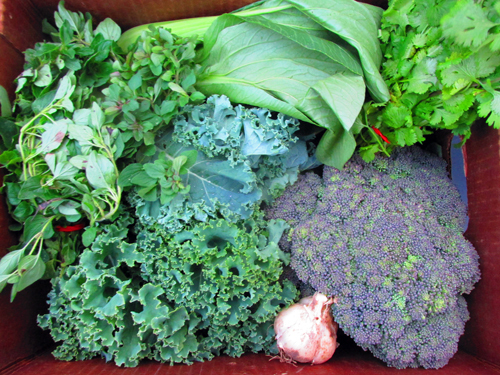 Excellent sweet fall Brassicas – enjoy the Bok Choy, kale, kohlrabi, broccoli, and cabbage for full shares. Finally an end to the incessant rain – everyone and everything wants to feel some sun. Herbs and garlic pair well with potatoes and squashes. The tomatoes need to sit in a paper bag for a week or so to ripen. This is the last of the cilantro and chard for 2018. Brussels sprouts, carrots, and beets are coming in next week’s boxes. Next week is box 18, the final summer share delivery. There is still time to sign up for our Fall Share (link here). JOIN US AT ANYTIME FOR OUR FARM HARVEST PARTY ON SATURDAY, OCTOBER 27TH 2-8 pm! Hayride, pumpkin picking, horse rides, crafts, yoga, food and drink, bonfire, lawn games … see the farm and folks who grow your food!!! 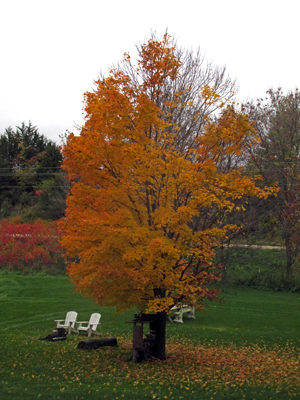 As the temperature drops, we are now entering our final weeks of the summer shares. What at sometimes seemed like an overwhelming amount of produce is easily manageable these days and we find our work days getting shorter and shorter. While we harvest as much as we can of our hardier, colder weather crops, we now find ourselves consuming our work days with cleaning the fields and wishing for more sun and drier weather. With the sun hiding away as it has been for the most of this month, I am realizing how closely our day-to-day activities correlate to how much sun is hitting the soil and how much moisture is in the environment. Quite a few of the things that we have been hoping to start on or finish are being forced back by the lack of the appropriate conditions. Things like planting or removing black plastic both rely on a certain dryness of the soil and until those conditions are met, who knows when we will be getting back to those activities. Harvesting and placing all of our storage crops such as garlic, squashes, and onions adds a new twist compared to our work days in the summer. 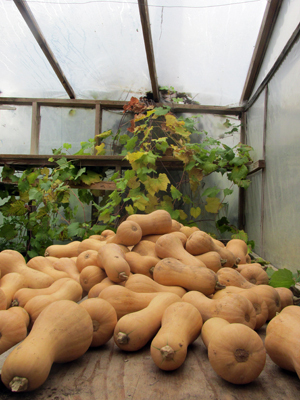 Norm has so far built three special areas for us to cure all four of our winter squashes and is keeping them slightly warm. Apparently, the best conditions to store squashes in call for ten days and eighty degree weather. 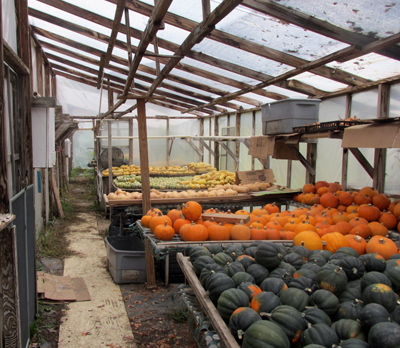 As I am sure you all can attest to, those temperatures just are not happening anymore, so Norm is using both insulation and heaters to make sure these squashes are a tad bit sweeter by the time they are placed into your box. With less and less here to do, I find myself with more free time and energy to enjoy the natural beauty both on the farm and off it. Exploring this visually stunning state and trying to catch some trout are both on my schedule for this fall. I am also making sure to leave room on there for are fall party! From 2-8 on the 27th of October. A few of the activities we have ready for you guys include hayrides, picking your own pumpkins, and a nice bonfire to keep us toasty with more to be announced next week. I hope to meet you all there and that you have a wonderful fall! 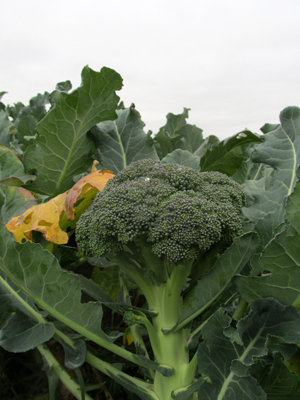 Broccoli is an incredibly nutritious vegetable that is part of the cruciferous family, along with kale, cauliflower, Brussels sprouts, bok choy, cabbage, collard greens, rutabaga, and turnips (all grown here at Earth Dance!). The word “broccoli” stems from the Italian plural of broccolo, which means “the flowering crest of a cabbage,” and is the diminutive form of brocco, meaning “small nail” or “sprout.” This hardy veggie is versatile, to say the least, and is found in all kinds of dishes around the world including stir fries, salads, soups, pastas, and casseroles. Broccoli is also commonly eaten raw and holds more of its nutrition that way, yet it is good for you whether cooked or not. Heat olive oil in a large wok or skillet over high heat. Stir in garlic and chili pepper; cook for 2 minutes, stirring frequently. Stir in broccoli; cook 1 minute. Add kale, and cook 2 minutes, stirring frequently. Stir in sun-dried tomatoes. Pour in lime juice, and season with salt to taste. Toss well. In a large bowl, toss broccoli florets with the olive oil, salt, pepper, and garlic. Spread the broccoli out in an even layer on a baking sheet. Bake until the florets are tender enough to pierce the stems with a fork, about 15-20 minutes. Transfer to a serving platter and squeeze the lemon juice liberally over the broccoli.